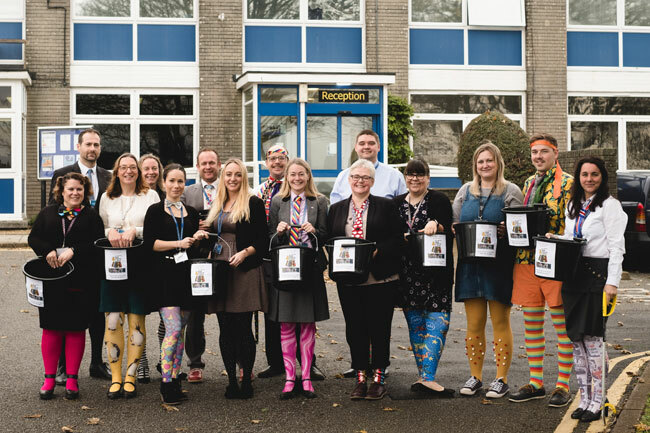 A group of colourful staff at saltash.net community school helped raise money for Children in Need by donning their brightest and wackiest ties and/or tights, whilst students kindly donated their loose change for the good cause. 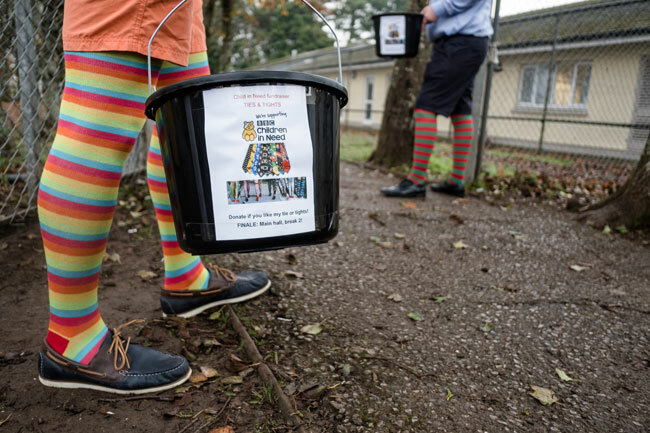 Around 20 staff, including Headteacher Miss Littledyke, were seen donning an array of spectacular ties and tights, each carrying a bucket for students to both donate and vote for their favourite by throwing in their change. There was a spirit of friendly competition amongst the staff to see who could raise the most! Total donations tallied up to a fantastic £413.57! Mr Killeya, who helped organise the event and wore ten ties simultaneously for the occasion said, “It was heart-warming to see not only so many staff participating, but also so many students being so generous with their donations. That sense of community and helping others is very important to the school”.